The word, from the Gaelic “dorus,” an entrance or way in (not unlike the English word with the same meaning) signifies “someone who has found a way in to seeing or perceiving.” Learning to perceive the pattern at the heart of being, and to love and protect it, is the way of a doran. Ignorant outsiders may call her “witch,” though, for they fear her power without understanding it–and this is one of the dangers that threatens in the first novel. Wise Child (a teasing nickname for a small girl who uses big words) has become the ward and pupil of the village healer, Juniper. Initially full of fears and suspicion bred by village gossip, the child grows to love her enigmatic but kind teacher. But those fears still live in others, particularly in the malice of the local priest. Wise Child will need all the strength she has found through her schooling to bring herself and her teacher to a place of safety. “Wise Child” may not yet deserve her name except in jest, but Juniper is certainly a wise woman–full of healing skill and knowledge, yet humble and with a sense of humor. Her house is a place of mystery and beauty, a sanctuary high up above the more mundane and petty world of the village. Though Wise Child sometimes wearies of the hard daily work of keeping house and learning herb lore, she gradually recognizes that it is in such small tasks–not in learning flashy magic tricks–that the real work of becoming a doran lies. 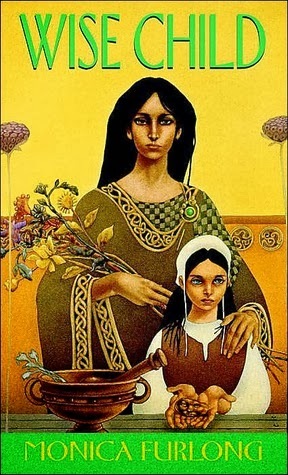 Juniper sometimes seems a bit too good to be true, but there’s something archetypally satisfying about such a wise female figure–as also in George MacDonald’s stories, where she appears repeatedly. Akin to Sophia and Shekinah, avatars of divine wisdom, she stands for “the love that was woven through every fiber of the world,” as Wise Child says; and without which the world would inevitably fall apart. At the other pole of feminine power stands Wise Child’s mother, Maeve. A legendary beauty and sorceress, she is faithful to nothing and no one but her own willful pleasure. She tempts her daughter with an alternate way of life, a way of using power for one’s own ends rather than in serving the whole. Wise Child’s instinctive, irrational longing for the mother who has abandoned her threatens to overturn everything she has learned. In Wise Child’s struggle to choose her own way is every daughter’s fight to free herself from the devouring side of her own femininity. Thus do fairy tales–where the fairy godmother and the wicked stepmother are two sides of the same coin–teach us about real life. In the first novel of the trilogy, we learn a few tantalizing details about the past of Wise Child’s teacher. In the sequel, Juniper, she tells her own story–a tale of a very different apprenticeship. Born to a relatively privileged life, as the beloved only daughter of the king and queen of Cornwall, she is not pleased to be sent off to labor under the harsh and taciturn discipline of Euny, the local doran. Nor is she entirely pleased when she learns her mother will give birth to a son, displacing her from the line of rule. But as she gathers her growing skills as a doran to fight against the threat to the kingdom posed by her wicked aunt, Meroot, she must consider what kind of power is truly worth having. As rich in detail and character as its predecessor, Juniper is an absorbing read. The development of the relationship between Euny and Juniper–from aversion to acceptance to love–is convincing and true. We see how the lessons Juniper learns–about attentiveness, about the importance of seemingly trivial details, about trusting oneself and others–will grow in her into the wisdom that permeates Wise Child. Readers of these two books will be left with many questions. Do Juniper’s old enemies come back? What is the outcome of the journey she and Wise Child embark on? After a fourteen-year pause, Monica Furlong finally completed the answer in Colman, just before her death in 2003. 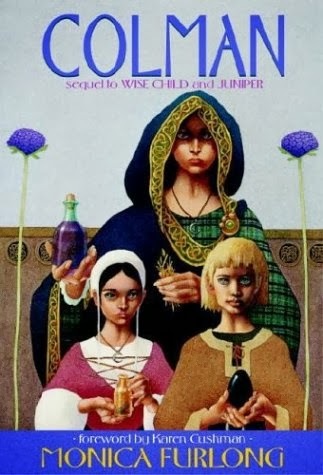 Narrated by Wise Child’s cousin and friend, it tells how Juniper and her companions return to Cornwall for sanctuary only to find it suffering again under Meroot’s evil rule. Colman is much more of a pure adventure story than Wise Child and Juniper. Though the title character has talent as a doran, he resists it–a conflict which could have been developed in an interesting way, but instead means simply that the focus of the story is more on external events and less on the process of training which was such a strong element in the other two books. I found this a disappointment. I also found the characterization more stiff and awkward; the characters seem constructed rather than alive. There’s some uncomfortably modern psychologizing, as Wise Child has to come to terms with her feelings about being a doran. This doesn’t follow at all from the way the first book ended, making it a jarring transition. While a respectable and reasonably exciting tale, Colman never fully drew me into its world. Still, Monica Furlong has achieved a rare kind of quiet beauty in her books, which has won her many devoted readers. I feel sure that they will continue to be enjoyed for many years. Incidentally, while Furlong is known in the U.S. primarily as the author of Wise Child and its sequels, her obituary in the London Times does not even mention these books! In her home country of England she was famous as a journalist, radio broadcaster (in spite of a terrible stutter), and social critic. She was a key player in the success of the campaign for women to be ordained as priests in the Church of England. Among her many published works is a classic biography of the Trappist monk Thomas Merton. Perhaps against this illustrious background, the author of the Times obituary found her “children’s novels” not worth mentioning–but her knowledge and experience of the path of spiritual development is no less evident there. Those who know the power of stories to inform and transform our lives will know how to value them rightly.